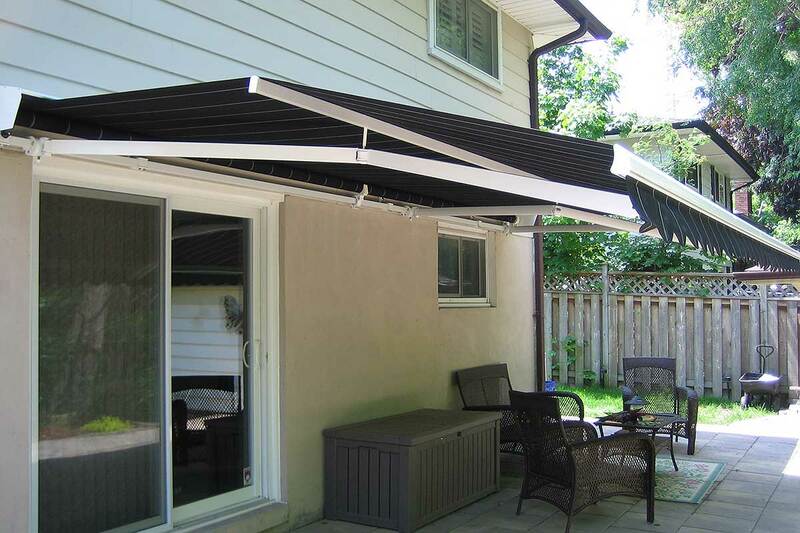 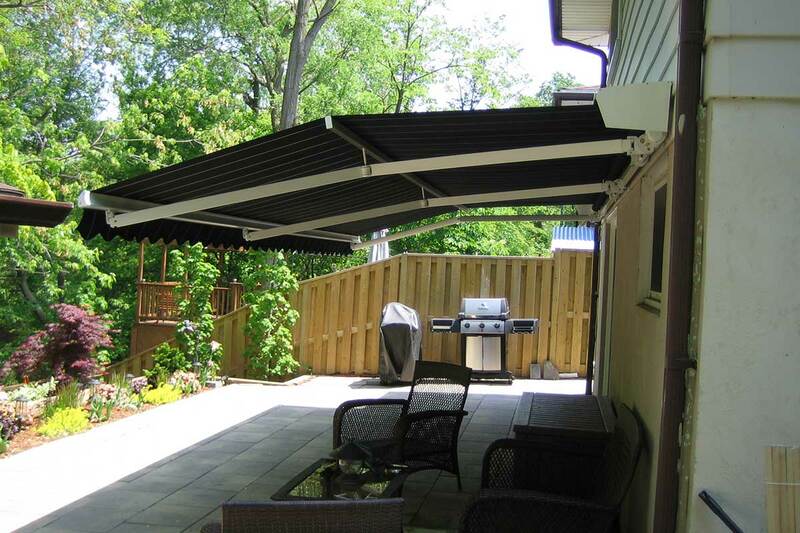 Retractable Patio Awnings - All Spa & Hot Tub Ltd.
We have a wide variety of retractable awnings to suit your wants and needs. 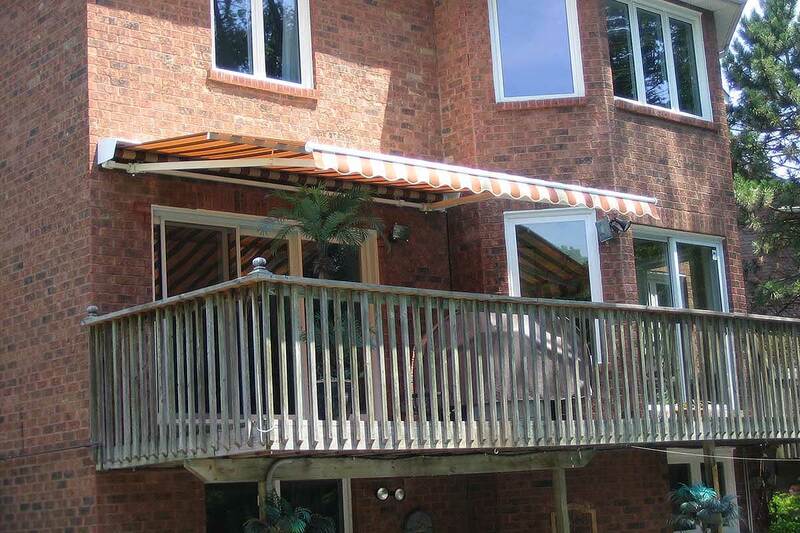 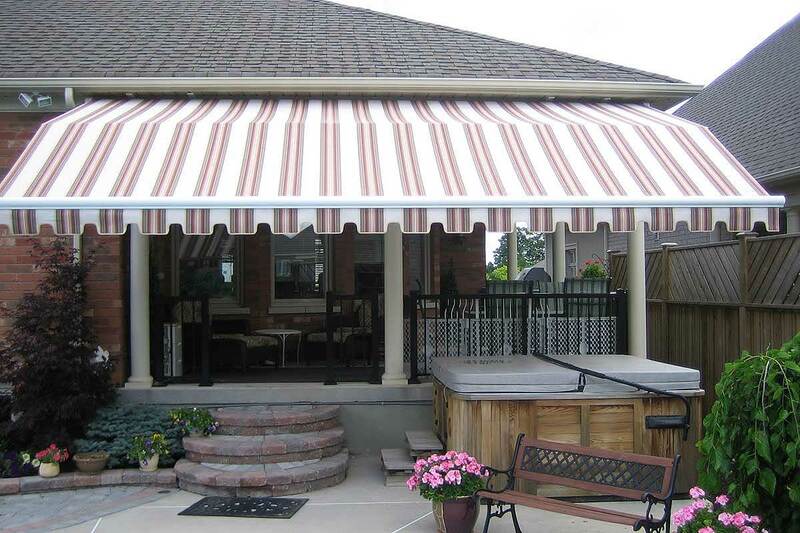 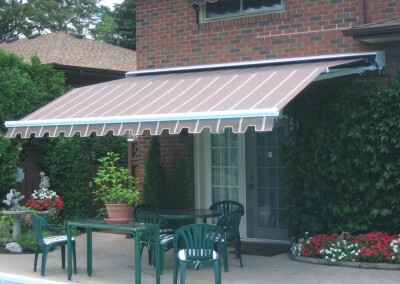 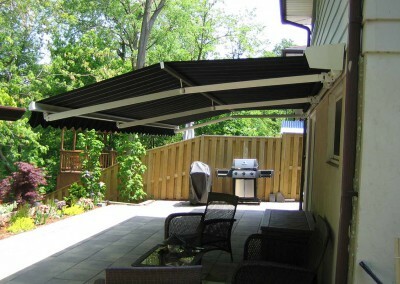 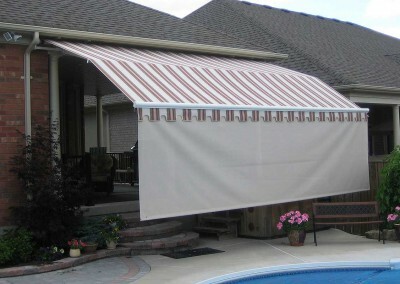 Our awnings are all aluminum and custom made up to 30′ long with projections of up to 13’2″. 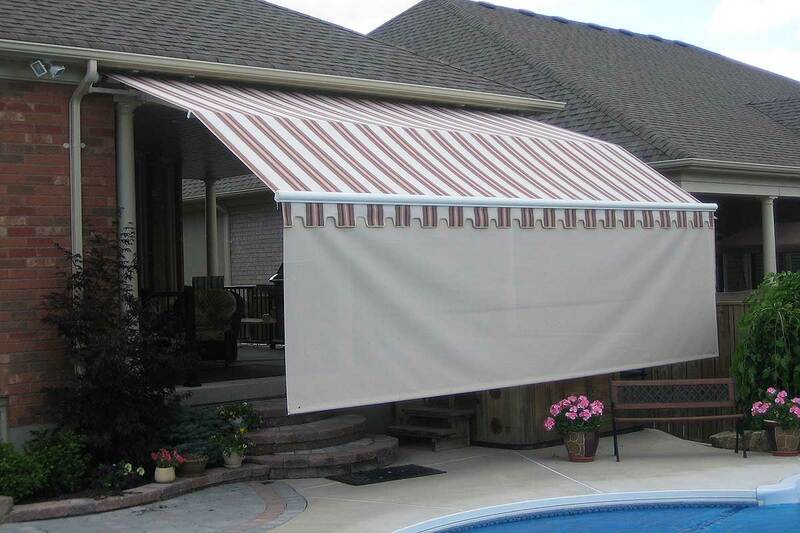 We have over 100 colours to choose from with the top of the line acrylic fabrics such as Sunbrella, Sattler and Dickson so your awning won’t fade or discolour. 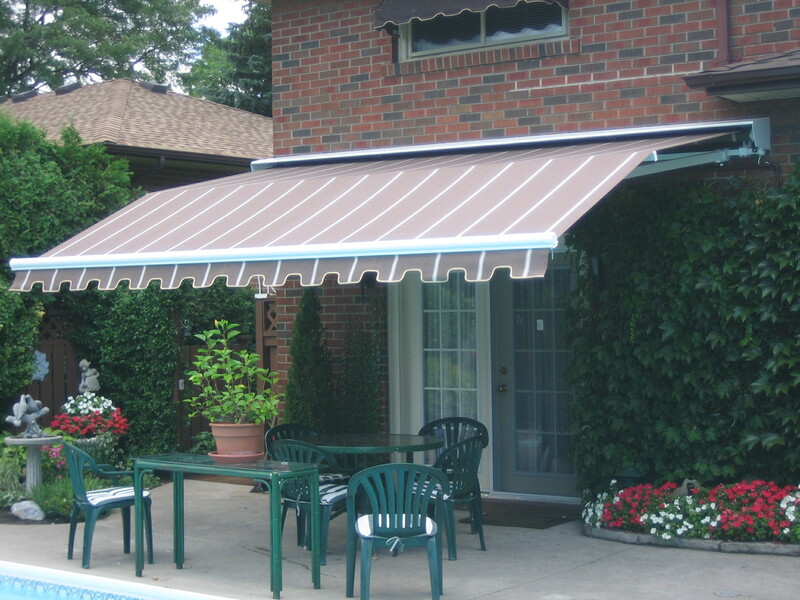 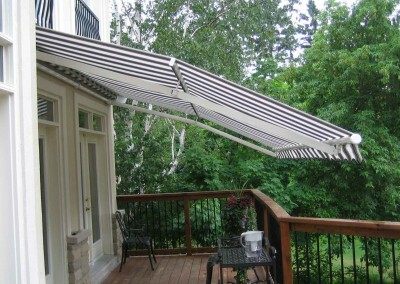 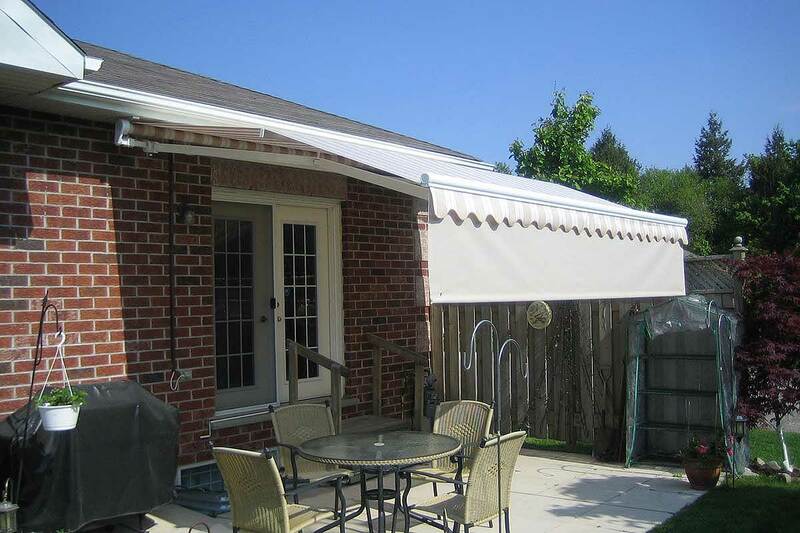 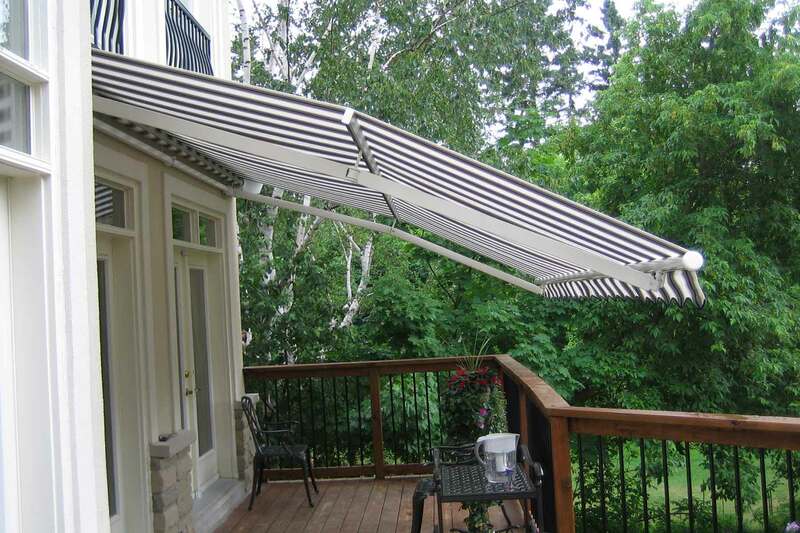 Optional motors can extend or retract the awning with the touch of a button, and valances can be added to improve shade and privacy. 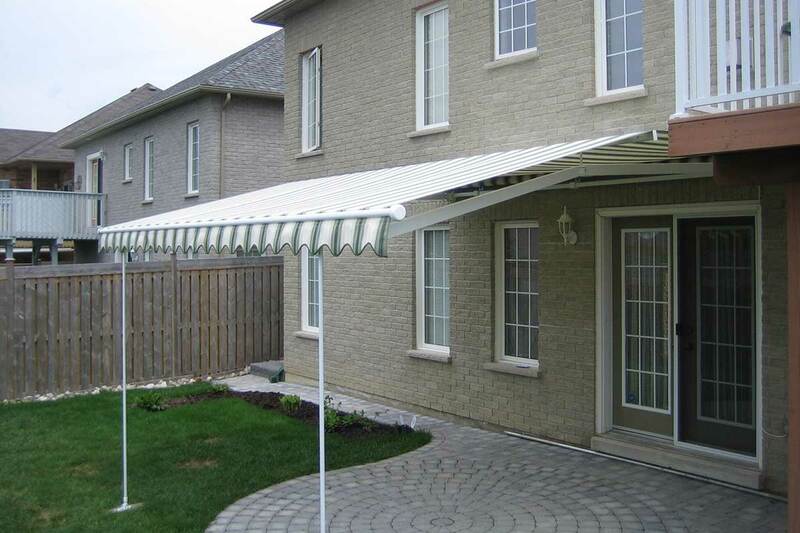 We would be happy to provide you with an estimated quote. 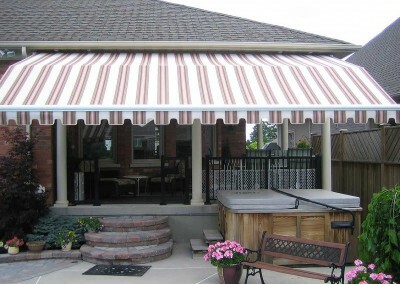 Please use our handy contact form to provide us with the measurements ( length & width ) of the awning. 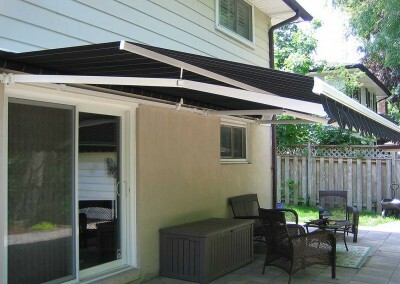 We would also need to know about the surface the awning will be mounted to. (eg. 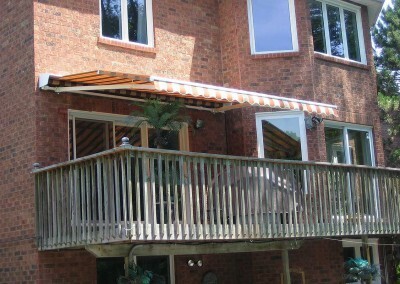 brick, siding, soffit, roof). 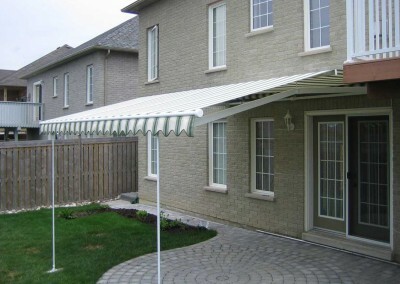 The contact form also allows you to upload a photo, It would be very helpful if you can provide us with a photo of the area you would like the awning mounted. 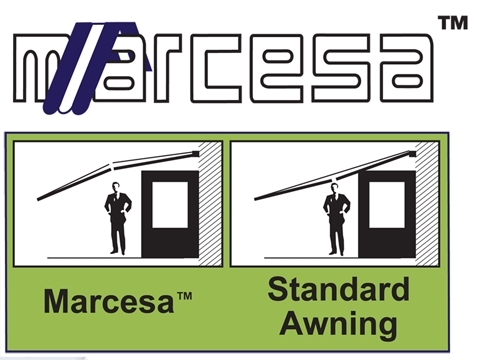 Marcesa retractable patio awnings have a center beam stabilizer bar that runs length wise giving a “Hip Roof” shape when extended.